It’s Festival Time in the Festival State. Running with the F theme I could also call it Fatigue Time because, let’s face it, Adelaideans need a good long nap at the end of March. Here at Behind the Screens we aim to inform you all on the film happenings across the city at this exciting time. One of the biggest film conferences on the Australian calendar is the Australian International Documentary Conference, being held at Glenelg from January 27th to March 1st. It’s a place for factual film makers from Australia and internationally to meet, pitch and learn. 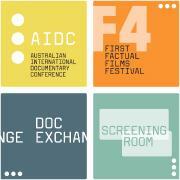 Caroline Man, manager of the AIDC Marketplace and the First Factual Film Festival (appropriately shortened to F4), came in for a chat about the conference and some of the fantastic films showing as a part of the F4. You can catch the four films screening as a part of the F4 at the Mercury from March 2nd to 4th. 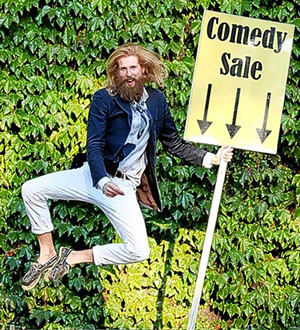 UK comedian Sanderson Jones is a purveyor of fine hand sold comedy. That’s right, you can only buy his tickets through contacting him – because he wants to get to know you! But that’s not why he’s here today. While in Australia, he will be recording his travels and exploits as a part of film project and funding himself through the profits of his comedy shows. Sanderson and his travelling companion, director and cameraman Tom Clint, enjoyed the air conditioned studio while telling us all about the show and their impressions of Adelaide so far, including a lively encounter with the Rundle Mall street preachers. Get tickets for his Adelaide show on March 22nd through the man himself at ComedySale.com and check out their last visit to the station when they came in for Breakfast with Tim Brunero. Adelaidean Emma Hack‘s ‘body of work’ (now, there’s a pun she’s bound to have heard a few times) is featured on one of the most hyped Youtube clips of the year. 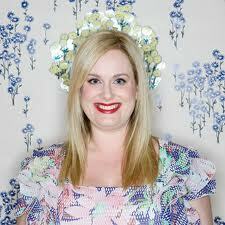 She was the woman behind the paint brush on Gotye and Kimbra’s music clip “Somebody That I Used to Know”, directed by Natasha Pincus, which is currently sitting on over 70 million views. The song won the coveted top spot on the 2012 Triple J Hottest 100 countdown and is climbing the charts in the US and the UK. Jennie Lenman from Streetcast and I interviewed the lovely Emma about her involvement in the music video. Ever wanted to know how painful it is to stand still for 23 hours while someone paints your naked body? Why women are easier to paint than men? Listen below. The second half of the interview in which we get into the nitty gritty of Emma’s personal work can be found on the Streetcast wordpress. Her Fringe exhibition entitled Emma Hack 2002 – 2012: The Journey” is open from February 22 to March 18 at the Fringe newest venue The Big Slapple, found at the Adelaide Convention Centre. Tim Standing, of Adelaide film and media company Daylight Breaks, came into the studio today to talk about his upcoming documentary “The Haitian Footsoldier”. It follows the story of Jonas Rasmussan – the man behind Home For Haiti, a not for profit organisation using old shipping containers to provide homes for earthquake stricken island. 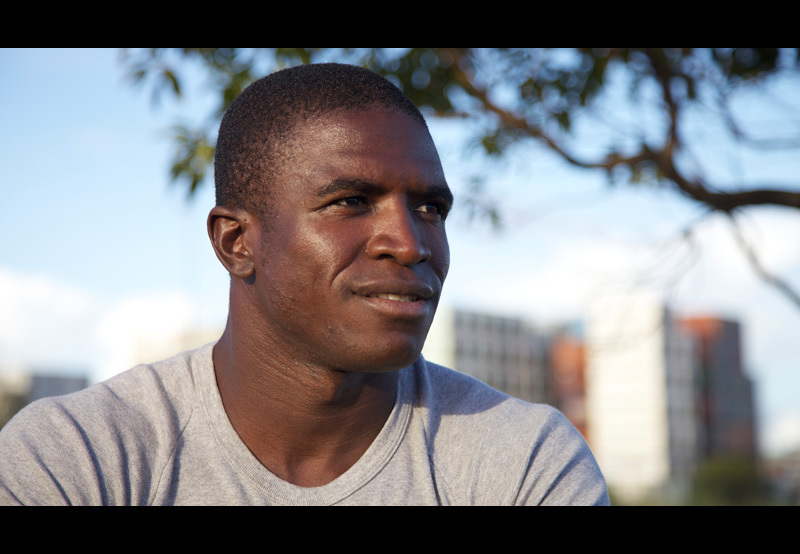 Born in Haiti and adopted by an Australian family when he was 6, Jonas hopes to use his tradie skills to deliver homes to those who needs them. Tim talks about filming in Haiti and the impact it made on him. Chrissy and I also had an in depth conversation about the importance of film marketing in regards to Working Dog’s new comedy “Any Questions For Ben?”. We’re not the only ones who are wondering what went wrong and why people aren’t going to the cinema to see this Aussie rom com. Chrissy and I couldn’t host the show today because we were on the set of Dinner With Hugo, the short film Chrissy is producing. One half of our summer team, Owen, took the reins and did it in style! Tropfest Jr is the Tropfest for kids 15 years and under. This year South Australia has our very own ambassadors in The Screenseekers, the bunch of youngsters behind “Juice Lords”, a short about juice bootlegging. Tallulah, Harper, Wahniki and Gina came into the studio for their very first radio interview. We ask them about sharing the work load and what it’s like being a Tropfest finalist. 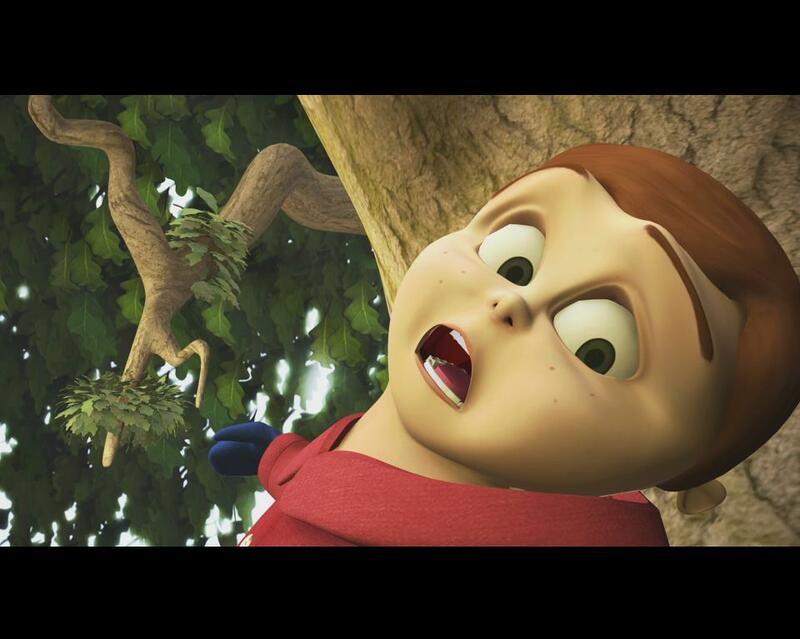 Thomas Cant decided to give animation a whirl after studying architecture at university. Apparently architecture isn’t the glamourous world that tv and movies make it out to be, sorry George. And what an introduction into a new industry. His very first animated short has made it to the Tropfest finalist shortlist. Clarence’s Kite is one of the films competing for the 16th spot in the Finals (with a capital F). You can vote at the Tropfest youtube page. We had a good chat about the strenuous process behind animation and the dangerous Survivor style world of filmmaking.